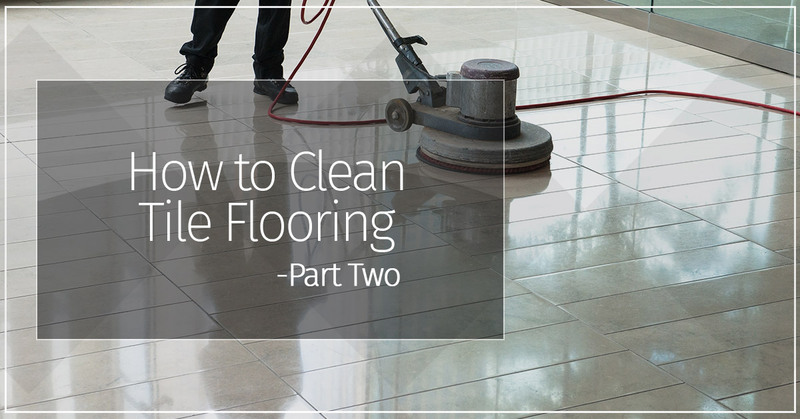 In Part One, we went over how to prepare your tiles for cleaning and some basics to consider. It’s vital that you remember these basics because you don’t want your tiles to become dingy and discolored. Whether you have ceramic, porcelain, or another type of tile, our cleaning methods will get in between those tiles to keep them maintained and beautiful. When you are cleaning your tiles, you’ll want to make sure to use hot water and to always keep the water to a minimum. This means you’ll want to wring out the sponge or the mop as often as possible to avoid an overflow of water. If you have any questions about tile or you’d like to redo a room in your home, then contact 2 Day Flooring for more information. Today, we’ll be going over some holistic methods that you should utilize in your home. When it comes to cleaning products, there can be a lot of harsh chemicals that can make you and your loved ones sick or cause long-term damage. In addition, it causes harm to the environment. Instead of using these harsh chemicals, you’ll want to try these alternative green options that will make your tiles sparkle and keep the grout clean. Baking soda is a great product to use when making baked goods, but did you also know it is a fantastic cleaning item too? Baking soda is a great method to use for regular cleanings of any types of water spots and getting rid of residue and dust. It’s also a superior item to use as an abrasive. You can use pure baking soda, water, and a damp sponge to scrub those tiles in your kitchen or bathroom. You’ll be impressed when you see the grime come right off. Similar to baking soda, another kitchen item you can use is vinegar. Vinegar is a natural cleaner that is extremely effective. The acidity is what really makes this liquid a great cleaning product to rid your tiles of mildew, bacteria, and growth. It can cut through water spots as well as mineral deposits and soap scum. That ring around your bathtub can disappear when you use vinegar! You can mix distilled white vinegar with water and spray it on the tiles to make them disappear. Keep in mind that you’ll want to wait a few minutes before digging in with your sponge or brush and for those extra hard stains, you might have to use baking soda as well. Another acidic product is lemon juice. This natural cleaning product can help with stains that are on the lighter side. This effective stain remover is similar to vinegar, but it’s more natural. The acidic juice will create an environment that’s uninviting to mildew and mold and it works just as well as baking soda. If you really want to remove a deep, tough stain, you can always combine this with another holistic stain remover. Borax is a natural product that’s made of seasonal evaporation from salt lakes. This natural product has an alkaline and a pH of 9.3, this means that when it comes to deodorizing, disinfecting, and relieving your tiles of those stains, you’re in luck. You can use Borax with a damp sponge and go to town on those tiles. Are you ready to scrub those tiles clean? If you are interested in redoing your bathroom, kitchen, or another room in tiles, then consider 2 Day Flooring for your renovation.